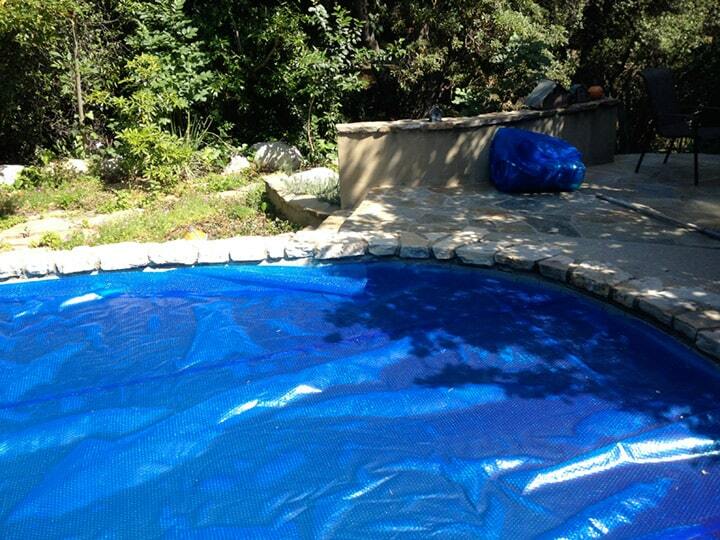 Re-grouting is a bit more challenging but within reach even for beginning do-it-yourselfers. 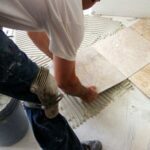 However, if re-grouting looks like a job you would rather leave to a professional, ask a local tile supplier for recommendations. 1. Use a grout saw to cut away any cracked or loose grout and to score stable grout between tiles. Clean away dirt and debris with a soft-bristle brush. 2. Wearing latex gloves, mix up the new matching grout according to label directions. 3. 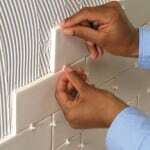 Hold the leading edge of a rubber grout float up at a slight angle and apply grout along the tile, working it deep into the crevices. 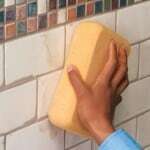 Then use your finger to smooth the grout. 4. Allow the grout to set up slightly. With a damp sponge, wipe off the excess from the surface of the tile. Allow the grout to completely set up for several days and then apply grout sealer with a sponge brush.